Historic Palestine is located in the Middle East, in a region bordering Lebanon, Syria, Jordan, Egypt and the Mediterranean. The Israeli-Palestinian conflict continues to attract media attention whenever there is an upsurge in violence, but progress is slow. The Israeli state is aided by the Americans and by some rich Arab countries, with the oppressed Palestinians having limited independent support from citizens across the world. The Palestinians are predominantly Muslim and therefore, after the weakening of global progressive movements, the Palestinian rights movement has increasingly become Muslim in nature. Israel has contributed to making it such. This conflict has captured the imagination of the Muslim world like no other. What the west needs to understand is that their support of development projects and humanitarian response across developing Muslim countries in times of crises are tempered by their overt support to Israeli aggression. Defence is acceptable, aggression is not. It appears that Israel wants this war to continue until the time when the 1993 Accords can be rolled back and the Palestinians are no longer capable of making any claim for any piece of land. If that is not true, they can email us with their agenda and we will state their position. But, history cannot be re-engineered. One possible solution is to accept that Palestinians and Israelis are here to stay, then negotiate a peaceful coexistence and genuine reconciliation. Perhaps with a bi-national state where all citizens are equal. Difficult we know, where such concepts are enshrined in western law, but still discrimination in everyday life is rife. One might expect that this is possible, where the combatants are fortunate to occupy an area of the planet considered to be Holy - as a shining beacon of hope to others in conflict around the world. A good Samaritan would welcome and help thy neighbour - not want to shun him and take his home. Understanding is the key to tolerance on both sides. We are all brothers are we not? Palestine (from Latin: Palaestina; Hebrew: פלשת Pleshet, פלשתינה Palestina; Arabic: فلسطين‎ Filastīn, Falastīn) is one of several names for the geographic region between the Mediterranean Sea and the Jordan River with various adjoining lands. Many different definitions of the region have been used in the past three millennia. Other English names for this geographical region include: Canaan (Hebrew: כנען), Land of Israel (Hebrew: ארץ ישראל Erets Yisrael), Judea (Hebrew: יהודה yehuda), Holy Land (Hebrew: ארץ הקדש Erets Ha-Kodesh; Latin: Terra Sancta; Arabic: الأرض المقدسة‎ al-Ard al-Muqaddasah) and Cisjordan (not to be confused with the French term for the modern-day West Bank, Cisjordanie). The various names for the region are understood differently and are not identical in meaning. Ancient Egyptian texts call the entire levantine coastal area R-t-n-u (conventionally Retenu), which stretched along the Mediterranean coast in between modern Egypt and Turkey. It subdivided into three regions. Retenu's southern region (called Djahy) approximates modern Israel with the Palestinian Territories, the central region Lebanon, and the northern region (called Amurru) the Syrian coast as far north as the Orontes River near Turkey. During the Israelite Period (or Iron Age), the Kingdom of Israel of the United Monarchy reigned from Jerusalem over an area approximating modern Israel with the Palestinian Territories but extending farther westward and northward to cover much (but not all) of the greater Land of Israel. After the split, the southern part became the Kingdom of Judah, and the northern part the Kingdom of Israel. The term "Palestine" derives from the word Philistine, the name of a non-Semitic ethnic group, originating from Southern Greece,closely related to early Mycenaean civilization. They inhabited a smaller area on the southern coast, called Philistia, whose borders approximate the modern Gaza Strip. Philistia encompassed the five cities of Gaza, Ashkelon, Ashdod, Ekron, and Gath. The Egyptian texts of the temple at Medinet Habu, record a people called the P-r-s-t (conventionally Peleset), one of the Sea Peoples who invaded Egypt in Ramesses III's reign. This is considered very likely to be a reference to the Philistines. The Hebrew name Peleshet (Hebrew: פלשת Pəléshseth), usually translated as Philistia in English, is used in the Bible to denote their southern coastal region. The Assyrian emperor Sargon II called it the Palashtu in his Annals. The Philistines seem to have disappeared as a distinct ethnic group by the Assyrian period, however the name of their land remained. During the Persian Period, the Greek form was first used in the 5th century BCE by Herodotus who wrote of a "district of Syria, called Palaistinêi" (whence Latin: Palaestina, whence English: Palestine). The boundaries of the area he referred to were not explicitly stated, but Josephus used the name only for the smaller coastal area, Philistia. Ptolemy also used the term. In Latin, Pliny mentions a region of Syria that was "formerly called Palaestina" among the areas of the Eastern Mediterranean. During the Roman Period, the Province of Judea (including Samaria) covered most of Israel and the Palestinian territories. But following the Bar Kokhba rebellion, as part of a program of ethnic cleansing, the Romans tried to erase the Jewish connection to the land of Judea, and renamed it Syria Palaestina (Latin: Syria Palaestina) (including Judea) and Samaria. During the Byzantine Period, this entire region (including Syria Palestine, Samaria, and Galilee) was renamed Palaestina and then subdivided into Diocese I and II. The Byzantines also renamed an area of land including the Negev, Sinai, and the west coast of the Arabian Peninsula as Palaestina Salutoris, sometimes called Palaestina III. Since the Byzantine Period, the Byzantine borders of Palaestina (I and II) have served as a name for the geographic area between the Jordan River and the Mediterranean Sea. The Hebrew Bible calls the region Canaan (Hebrew: כּנען) when referring to the pre-Israelite period and thereafter Israel (Yisrael). The name "Land of the Hebrews" (Hebrew: ארץ העברים, Eretz Ha-Ivrim) is also found as well as several poetical names: "land flowing with milk and honey", "land that [God] swore to your fathers to assign to you", "Holy Land", "Land of the Lord", and the "Promised Land". The Land of Canaan is given a precise description in (Numbers 34:1) as including all of Lebanon as well(Joshua 13:5). The wide area appears to be the habitat of the ancient ethnic Hebrews, albeit shared with other ethnic groups. It is even said to extend as far as the Euphrates River Genesis 15:18 including an area called Aram Naharaim, which includes Haran in modern Turkey, from where Abraham the ancestor of the Israelites departed. The events of the Four Gospels of the Christian Bible take place entirely in Israel. During the ancient bible period, this region was referred to as Canaan and was the home of several small nations such as the Chanaanites, the Hethites, the Amorrhites, the Pherezites, the Hevites and the Jebusite, who lived in the ancient cities of Jericho, Megiddo, Sidon and others. Later, most of this region was conquered from these small nations by the Hebrews who settled in the region and divided it among the 12 Israelite tribes, who later were merged into one united kingdom of Israel. After 3 generations of kings, the kingdom was split in to 2 sister kingdoms: the northern kingdom of Israel , and the southern kingdom of Judah. After a few centuries the kingdoms were razed by invaders: The Assyrian Empire destroyed the northern kingdom and exiled its inhabitants (which became known as the Lost Tribes) at 721 BC, while the Babylonian Empire destroyed the southern kingdom (and the first Temple in Jerusalem) and exiled its inhabitants (who became known since as the Jews) at 586 BC. After approximately 50 years the Jewish exiles were allowed, by the Persian Empire, to return back to the Land of Israel, where they built the Second Temple in Jerusalem and where allowed to have a small autonomic rule. The Persian Empire soon fell under the Greek forces of Alexander the Great. After his death, with the absence of heirs, his conquests were divided amongst his generals, while the region of the Jews ("Judah" or Judea as it became known) was first part of the Ptolemaic dynasty and then part of the Seleucid Empire. The Jewish population in Judea was allowed to conduct a limited autonomy in religion and administration and Jerusalem became a spiritual center for all the Jews (who also held communities outside Judea, such as in Babylon and in Alexandria). But soon the ever growing Hellenistic influence which intended to spread, by force, its culture and ways upon all others, caused tensions between the Greek leaders and Jews in Judea. This led to open revolt of the Jews under the leadership of the Hasmoneans, and the construction of their kingdom. After approximately a century of very limited independence, control of the kingdom fell to the Roman Empire under the Roman army of Pompey. As a result of the First Jewish-Roman War, Titus sacked Jerusalem and destroyed the Second Temple, leaving only the Western Wall. In 135, following the fall of a Jewish revolt led by Bar Kokhba in 132–135, the Roman emperor Hadrian expelled most Jews from Judea, leaving large Jewish populations in Samaria and the Galilee. He also changed the name of the Roman province of Judea (Israel) to Syria Palaestina in an attempt to eradicate any connection with the now conquered Jews. In what was considered a form of psychological warfare, the Romans also tried to change the name of Jerusalem to Aelia Capitolina, but that had less staying power. Over time the name Syria Palaestina was shortened to Palaestina, which by then had become an administrative political unit within the Roman Empire. In approximately 390, Palaestina was further organised into three units: Palaestina Prima, Secunda, and Tertia (First, Second, and Third Palestine). Palaestina Prima consisted of Judea, Samaria, the coast, and Peraea with the governor residing in Caesarea. Palaestina Secunda consisted of the Galilee, the lower Jezreel Valley, the regions east of Galilee, and the western part of the former Decapolis with the seat of government at Scythopolis. Palaestina Tertia included the Negev, southern Jordan — once part of Arabia — and most of Sinai with Petra the usual residence of the governor. Palestina Tertia was also known as Palaestina Salutaris. This reorganization reduced Arabia to the northern Jordan east of Peraea. In 536 Justinian I promoted the governor at Caesarea to proonsul (anthypatos), giving him authority over the two remaining consulars. Justinian believed that the elevation of the governor was appropriate because he was responsible for "the province in which our Lord Jesus Christ... appeared on earth". This was also the principal factor explaining why Palestine prospered under the Christian Empire. The cities of Palestine, such as Caesarea Maritima, Jerusalem, Skythopolis, Neapolis, and Gaza reached their peak population in the late Roman period and produced notable Christian scholars in the disciplines of rhetoric, historiography, Eusebian ecclesiastical history, classicizing history and hagiography. Byzantine administration of Palestine ended temporarily during the Persian occupation of 614–28, then permanently after the Muslims arrived in 634 and defeated the imperial forces decisively at the Battle of Yarmouk in 636. Jerusalem capitulated in 638 and Caesarea around 640 or 641/2. The Muslims abolished Palaestina III, but Palaestina I survived as the Jund Filastin and Palaestina II as the Jund al-Urdunn. Ramla, a new city, became the capital. IRAQ : Prime Minister Nouri al-Maliki is viewed by the US as a 24 carat upholder of democracy. In reality he is afflicted by a maelstrom of emotions - like the majority of Iraqis. The Kurds, themselves mostly Sunni, are consumed by their recently found Freedom and a de facto Homeland of their own. Achieved by Saddams downfall. Well done the US and the Coalition! Residually, Iraq comprises Sunnis - former Masters of Iraq abd Shi'ites their former vassals. The sects simply loathe one another. Democracy - the shoe to fit all - fits no-one in particular! A subtle acquiescing in Shia militia murder and mayhem, on the part of Houri al-Maliki, has become exacerbated in that the reisn have redically 'slipped' in respect of imported terrorism. Sunnis, numerically inferior, reciprocally follow the sectarian path. Their concerns being Survival - Retaliation in a holding of their position - the equitable distribution of Oil Revenue. This last notably absent from the area of their predominance. It is therefore wholly illogical for such disparate groups to be collectively wedded to Democracy. The Kurds are relatively insulated. Keeping a 'watching brief' in protection of their Homeland interests. Sharp eyes watch the (southern) Sunni/Shi'ite fiasco. Razor sharp where outsiders are concerned, eg. the coalition but particularly Iran. Autonomous Sates - is surely the realistic solution - held together within a Federation of States. External defence could be guaranteed by the US - Coalition - UN - NATO. Such posture would keep the foxes from the chickens. Proceeds from Oil Revenue to be shared upon a percapita basis. The States being responsible for their use. Each State with its own police force and armed military Detachments. Maintaining Security and eliminating Terrorism. PALESTINE : Fused for a future Nuclear War starting with Iran/Israel. Israeli 'special status' supported by the US in their monopoly on power must end! Equal treatment + financing should become endemic! External defence guaranteed to Israelis and Palestinians - after a style set out viz Iraq in the foregoing. It is the absence of impartiality which is the Road Block (forget the road map) which encourages abuse. Palestinians are hungry - not the Israelis! The Caliphate period includes all Islamic caliphates: Umayyid, Abbasid, Ayyubid, Mamluks, and finally Ottoman. The muslim rulers divided the province of ash-Sham (Arabic for Greater Syria) into five districts. Jund Filastin (Arabic جند فلسطين, literally "the army of military district of Palestine") was a region extending from the Sinai to south of the plain of Acre. At times it reached down into the Sinai. Major towns included Rafah, Caesarea, Gaza, Jaffa, Nablus, Jericho and Ramla. Initially Ludd (Lydda) was the capital, but in 717 it was moved to the new city of ar-Ramlah (Ramla). Jund al-Urdunn (literally "Jordan") was a region to the north and east of Filastin. Major towns included Tiberias, Legio, Acre, Beisan and Tyre. The capital was at Tiberias. Various political upheavals led to readjustments of the boundaries several times. After the 10th century, the division into Junds began to break down and the Turkish invasions of the 1070s, followed by the first Crusade, completed that process. After Muslim control over Palestine was reestablished in the 12th and 13th centuries, the division into districts was reinstated, with boundaries that were frequently redrawn. 1263/Jul 1291 the country was part of the Mamluk Sultanate of Egypt. Around the end of the 13th century, Palestine comprised several of nine emirates of Syria, namely the "Kingdoms" of Gaza (including Ascalon and Hebron), Karak (including Jaffa and Legio), Safad (including Safad, Acre, Sidon and Tyre) and parts of the Kingdom of Damascus (sometimes extending as far south as Jerusalem). By the middle of the 14th century, Syria had again been divided into five districts, of which Filastin included Jerusalem (its capital), Ramla, Ascalon, Hebron and Nablus, while Hauran included Tiberias (its capital). After the Ottoman conquest, the name "Palestine" disappeared as the official name of an administrative unit, as the Turks often called their (sub)provinces after the capital. Since its 1516 incorporation in the Ottoman Empire, it was part of the vilayet (province) of Damascus-Syria until 1660, next of the vilayet of Saida (seat in Lebanon), shortly interrupted by the 7 March 1799 - July 1799 French occupation of Jaffa, Haifa, and Caesarea. On 10 May 1832 it was one of the Turkish provinces annexed by Muhammad Ali's shortly imperialistic Egypt (nominally still Ottoman), but in November 1840 direct Ottoman rule was restored. Still the old name remained in popular and semi-official use. Many examples of its usage in the 16th and 17th centuries have survived. During the 19th century, the "Ottoman Government employed the term Arz-i Filistin (the 'Land of Palestine') in official correspondence, meaning for all intents and purposes the area to the west of the River Jordan which became 'Palestine' under the British in 1922". Amongst the educated Arab public, Filastin was a common concept, referring either to the whole of Palestine or to the Jerusalem sanjaq alone or just to the area around Ramle. Ottoman rule over the region lasted until the Great War (World War I) when the Ottomans sided with Germany and the Central Powers. During World War I, the Ottomans were driven from much of the area by the United Kingdom during the dissolution of the Ottoman Empire. As the Empire ended, the number of Jews in Palestine had declined to 55,000. In European usage up to World War I, "Palestine" was used informally for a region that extended in the north-south direction typically from Raphia (south-east of Gaza) to the Litani River (now in Lebanon). The western boundary was the sea, and the eastern boundary was the poorly-defined place where the Syrian desert began. In various European sources, the eastern boundary was placed anywhere from the Jordan River to slightly east of Amman. The Negev Desert was not included. Under the Sykes-Picot Agreement of 1916, it was envisioned that most of Palestine, when freed from Ottoman control, would become an international zone not under direct French or British colonial control. Shortly thereafter, British foreign minister Arthur Balfour issued the Balfour Declaration of 1917, which laid plans for a Jewish homeland to be established in Palestine eventually. The British-led Egyptian Expeditionary Force, commanded by Edmund Allenby, captured Jerusalem on 9 December, 1917 and occupied the whole of the Levant following the defeat of Turkish forces in Palestine at the Battle of Megiddo in September 1918. Formal use of the English word "Palestine" returned with the British Mandate. At the beginning of this period, the name "Eretz Yisrael" ("Land of Israel", Hebrew: ארץ ישראל) was inserted into use on a 1920 Postage Stamp by Herbert Samuel, the first British high-commissioner of Palestine 1920-1925. Foreign office officials questioned his action, but the issue was forgotten as responsibility for Palestine was passed from the foreign office to colonial office. "There are still important details outstanding, such as the actual terms of the mandate and the question of the boundaries in Palestine. There is the delimitation of the boundary between French Syria and Palestine, which will constitute the northern frontier and the eastern line of demarcation, adjoining Arab Syria. The latter is not likely to be fixed until the Emir Feisal attends the Peace Conference, probably in Paris." In July 1920, the French drove Faisal bin Husayn from Damascus ending his already negligible control over the region of Transjordan, where local chiefs traditionally resisted any central authority. The sheikhs, who had earlier pledged their loyalty to the Sharif, asked the British to undertake the region's administration. Herbert Samuel asked for the extension of the Palestine government's authority to Transjordan, but at meetings in Cairo and Jerusalem between Winston Churchill and Emir Abdullah in March 1921 it was agreed that Abdullah would administer the territory (initially for six months only) on behalf of the Palestine administration. In the summer of 1921 Transjordan was included within the Mandate, but excluded from the provisions for a Jewish National Home. On 24 July, 1922 the League of Nations approved the terms of the British Mandate over Palestine and Transjordan. On 16 September the League formally approved a memorandum from Lord Balfour confirming the exemption of Transjordan from the clauses of the mandate concerning the creation of a Jewish national home and from the mandate's responsibility to facilitate Jewish immigration and land settlement. In reality, the British prevented Jews from settling in Transjordan, while Arabs could freely settle in Palestine. 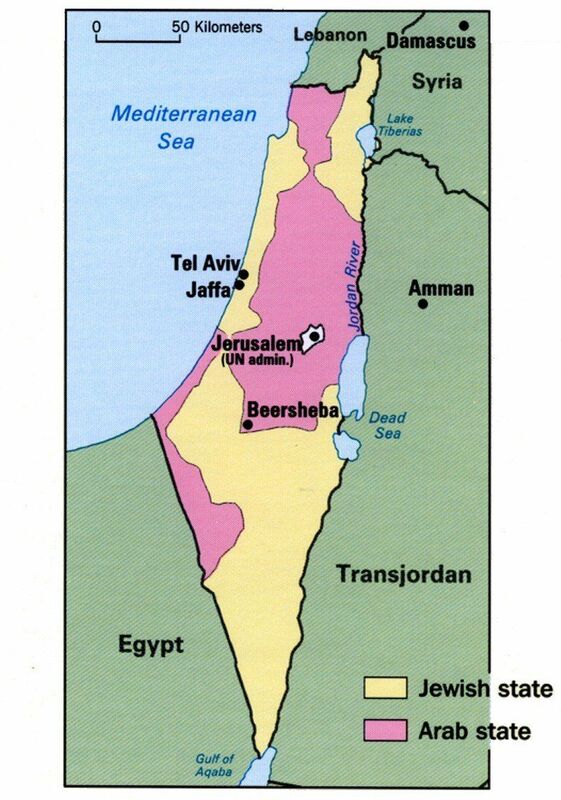 Transjordan was essentially 77% of Palestine so this was viewed as a great injustice and huge division of the territory designated for the Jewish National Home by the Balfour Declaration according to the Jewish leaders. Together with the American protests against the issuance of mandates these triangular quarrels between the Italians, French, and British explain why the A mandates did not come into force until nearly four years after the signing of the Peace Treaty.... The British documents clearly reveal that Balfour's patient and skilful diplomacy contributed greatly to the final issuance of the A mandates for Syria and Palestine on September 29, 1923. Even before the Mandate came into legal effect in 1923, British terminology sometimes used '"Palestine" for the part west of the Jordan River and "Trans-Jordan" (or Transjordania) for the part east of the Jordan River. However, "Palestine" in the sense of the Jewish National Home often included lands on both sides of the Jordan River (see also Faisal-Weizmann Agreement). The situation in Palestine itself rapidly deteriorated, due to the incessant attacks by Irgun and Lehi on British officials, armed forces, and strategic installations. This caused severe damage to British morale and prestige, as well as increasing opposition to the mandate in Britain itself, public opinion demanding to "bring the boys home". World public opinion turned against Britain as a result of the British policy of preventing the Jewish Holocaust survivors from reaching Palestine, sending them instead to refugee camps in Cyprus, or even back to Germany, as in the case of Exodus 1947. The costs of maintaining an army of over 100,000 men in Palestine weighed heavily on a British economy suffering from post-war depression, and was another cause for British public opinion to demand an end to the Mandate. Finally in early 1947 the British Government announced their desire to terminate the Mandate, and passed the responsibility over Palestine to the United Nations. 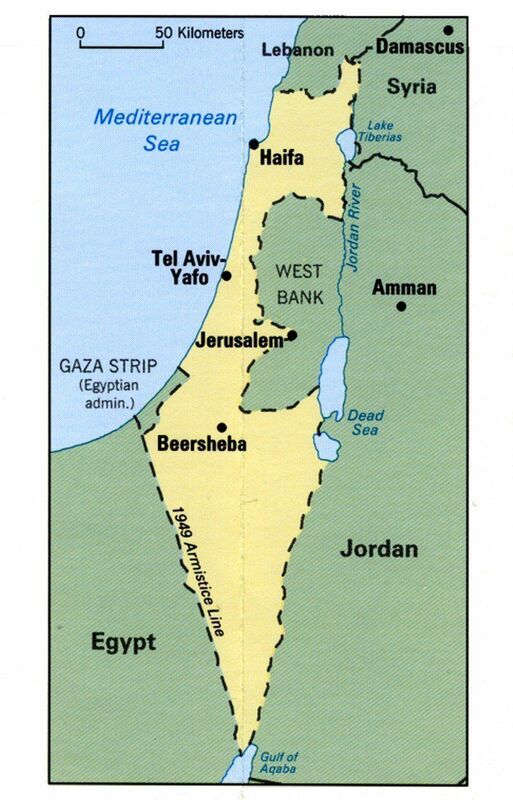 On 29 November 1947, the United Nations General Assembly, with a two-thirds majority international vote, passed the United Nations Partition Plan for Palestine (United Nations General Assembly Resolution 181), a plan to resolve the Arab-Jewish conflict by partitioning the territory into separate Jewish and Arab states, with the Greater Jerusalem area (encompassing Bethlehem) coming under international control. Jewish leaders (including the Jewish Agency), accepted the plan, while Palestinian Arab leaders rejected it and refused to negotiate. Neighboring Arab and Muslim states also rejected the partition plan. The Arab community reacted violently after the Arab Higher Committee declared a strike and burned many buildings and shops. As armed skirmishes between Arab and Jewish paramilitary forces in Palestine continued, the British mandate ended on May 15, 1948, the establishment of the State of Israel having been proclaimed the day before (see Declaration of the Establishment of the State of Israel). The neighboring Arab states and armies (Lebanon, Syria, Iraq, Egypt, Transjordan, Holy War Army, Arab Liberation Army, and local Arabs) immediately attacked Israel following its declaration of independence, and the 1948 Arab-Israeli War ensued. Consequently, the partition plan was never implemented. Following the 1948 Arab-Israeli War, the 1949 Armistice Agreements between Israel and neighboring Arab states eliminated Palestine as a distinct territory. It was divided between Israel, Egypt, Syria and Jordan. In addition to the UN-partitioned area, Israel captured 26 percent of the Mandate territory west of the Jordan river. Jordan captured and annexed about 21% of the Mandate territory. Jerusalem was divided, with Jordan taking the eastern parts, including the old city, and Israel taking the western parts. The Gaza Strip was captured by Egypt. For a description of the massive population movements, Arab and Jewish, at the time of the 1948 war and over the following decades, see Palestinian exodus and Jewish exodus from Arab lands. From the 1960s onward, the term "Palestine" was regularly used in political contexts. Various declarations, such as the 1988 proclamation of a State of Palestine by the PLO referred to a country called Palestine, defining its borders with differing degrees of clarity, including the annexation of the whole of the State of Israel. Most recently, the Palestine draft constitution refers to borders based on the West Bank and Gaza Strip prior to the 1967 Six-Day War. This so-called Green Line follows the 1949 armistice line; the permanent borders are yet to be negotiated. Furthermore, since 1994, there has been a Palestinian Authority controlling varying portions of historic Palestine. The question of Palestine was brought before the United Nations shortly after the end of the Second World War. The origins of the Palestine problem as an international issue, however, lie in events occurring towards the end of the First World War. These events led to a League of Nations decision to place Palestine under the administration of Great Britain as the Mandatory Power under the Mandates System adopted by the League. In principle, the Mandate was meant to be in the nature of a transitory phase until Palestine attained the status of a fully independent nation, a status provisionally recognized in the League's Covenant, but in fact the Mandate's historical evolution did not result in the emergence of Palestine as an independent nation. The decision on the Mandate did not take into account the wishes of the people of Palestine, both Arabs and Jews, despite the Covenant's requirements that "the wishes of these communities must be a principal consideration in the selection of the Mandatory". This assumed special significance because, almost five years before receiving the mandate from the League of Nations, the British Government had given commitments to the Zionist Organization regarding the establishment of a Jewish national home in Palestine, for which Zionist leaders had pressed a claim of historical connection since their ancestors had lived in Palestine two thousand years earlier before dispersing in the Diaspora. During the period of the Mandate, the Zionist Organization worked to secure the establishment of a Jewish national home in Palestine, where both Jews and Arabs could live side by side. The Arab people of Palestine felt this design to be a violation of their rights. They also viewed it as an infringement of assurances of independence given by the Allied Powers to Arab leaders in return for their support during the war. The result was mounting resistance to the Mandate by all Arabs, followed by Arab violence against the Jewish population. Estimating the population of Palestine in antiquity relies on 3 methods - censuses and writings made at the times, biblical associations, and the scientific method based on excavations and statistical methods that consider the number of settlements at the particular age, area of each settlement, density factor for each settelment. According to Joseph Jacobs, writing in the Jewish Encyclopedia (1901-1906), the Pentateuch contains a number of statements as to the number of Jews that left Egypt, the descendants of the seventy sons and grandsons of Jacob who took up their residence in that country. Altogether, including Levites, there were 611,730 males over twenty years of age, and therefore capable of bearing arms; this would imply a population of about 3,154,000. The Census of David is said to have recorded 1,300,000 males over twenty years of age, which would imply a population of over 5,000,000. The number of exiles who returned from Babylon is given at 42,360. Tacitus declares that Jerusalem at its fall contained 600,000 persons; Josephus, that there were as many as 1,100,000. "We have sought here to demonstrate in two alternate, independent ways that the population of Palestine in antiquity did not exceed a million persons. It can also be shown, moreover, that this was more or less the size of the population in the peak period--the late Byzantine period, around A.D. 600"
"As we have seen above, the population of the country in the Roman-Byzantine period greatly exceeded that in the Iron Age...If we accept Broshi's population estimates, which appear to be confirmed by the results of recent research, it follows that the estimates for the population during the Iron Age must be set at a lower figure." "When Jewish independence came to an end in the year 70, the population numbered, at a conservative estimate, some 5 million people. (By Josephus' figures, there were nearer 7 million.) Even sixty years after the destruction of the Temple, at the outbreak of the revolt led by Bar Kochba in 132, when large numbers had fled or been deported, the Jewish population of the country must have numbered at least 3 million, according to Dio Cassius' figures. Sixteen centuries later, when the practical possibility of the return to Zion appeared on the horizon, Palestine was a denuded, derelict, and depopulated country. The writings of travellers who visited Palestine in the late eighteenth and throughout the nineteenth century are filled with descriptions of its emptiness, its desolation. In 1738, Thomas Shaw wrote of the absence of people to fill - Palestine's fertile soil. In 1785, Constantine Francois Volney described the "rained" and "desolate" country. He had not seen the worst. Pilgrims and travellers continued to report in heartrending terms on its condition. Almost sixty years later, Alexander Keith, recalling Volney's description, wrote: "In his day the land had not fully reached its last degree of desolation and depopulation." "From the mass of detail in the registers, it is possible to extract something like a general picture of the economic life of the country in that period. Out of a total population of about 300,000 souls, between a fifth and a quarter lived in the six towns of Jerusalem, Gaza, Safed, Nabulus, Ramle, and Hebron. The remainder consisted mainly of peasants, living in villages of varying size, and engaged in agriculture. Their main food-crops were wheat and barley in that order, supplemented by leguminous pulses, olives, fruit, and vegetables. In and around most of the towns there was a considerable number of vineyards, orchards, and vegetable gardens." By Volney's estimates in 1785, there were no more than 200,000 people in the country. In his paper 'Demography in Israel/Palestine: Trends, Prospects and Policy Implications' Sergio DellaPergola, drawing on the work of Bachi (1975), provides rough estimates of the population of Palestine west of the River Jordan by religion groups from the first century onwards summarised in the table below. First half 1st century C.E. 1. Figures in thousands. The total includes Druzes and other small religious minorities. Figures from Ben-Arieh, in Scholch 1985, p. 388. According to Ottoman statistics studied by Justin McCarthy, the population of Palestine in the early 19th century was 350,000, in 1860 it was 411,000 and in 1900 Palestine had a population of about 600,000 of which 94% were Arabs. In 1914 Palestine had a population of 657,000 Muslim Arabs, 81,000 Christian Arabs, and 59,000 Jews. "Outside the gates of Jerusalem we saw indeed no living object, heard no living sound, we found the same void, the same silence ... as we should have expected before the entombed gates of Pompeii or Herculaneam a complete eternal silence reigns in the town, on the highways, in the country ... the tomb of a whole people." "Palestine sits in sackcloth and ashes. Over it broods the spell of a curse that has withered its fields and fettered its energies. Palestine is desolate and unlovely -- Palestine is no more of this workday world. It is sacred to poetry and tradition, it is dreamland." "There was hardly a tree or a shrub anywhere. Even the olive and the cactus, those fast friends of a worthless soil, had almost deserted the country". "A desolation is here that not even imagination can grace with the pomp of life and action. We reached Tabor safely. We never saw a human being on the whole route". "There is not a solitary village throughout its whole extent – not for thirty miles in either direction. ...One may ride ten miles hereabouts and not see ten human beings." ...these unpeopled deserts, these rusty mounds of barrenness..."
So overwhelming was Twain's impression of an irreversible desolation that he came to the grim conclusion that Palestine would never come to life again. Kathleen Christison was critical of Twain and claimed that in Nablus the city had a population of 20,000 Arabs and a few hundred Samaritans yet Twain described the Samaritans at length without mentioning the Arabs at all. Nabil Mattar claims that some European travelers are biased in comparison to reports by other Arab travelers who reported about the same places and era in regard to Palestine. He brings a case study for a Morrocoan traveler Ayyashi in the seventeenth century, and another of an Englishman called T.B, both of whom visited mostly the same sites, but had reported sharply different view of Palestine. "There were no people in T.B's Palestine, no nature, no terrain to link them...There was no mention of the Dome of the Rock, nothing of the Moors or the Arabs or anybody else." Remarkably, there are photographs dating to the 19th century and early 20th century that document the development of Palestine from the desolate, pre-Zionist landscape reported by travelers to the green and productive land that Jewish immigrants created there. The photographs and lithographs of the period show how the industrious Zionists made the lightly-populated land productive and able to support the great increases in Jewish and Arab numbers that came to Palestine in the following decades. During the nineteenth century, many residents and visitors attempted to estimate the population without recourse to official data, and came up with a large number of different values. Estimates that are reasonably reliable are only available for the final third of the century, from which period Ottoman population and taxation registers have been preserved. From abroad, we are accustomed to believe that Eretz Israel is presently almost totally desolate, an uncultivated desert, and that anyone wishing to buy land there can come and buy all he wants. But in truth it is not so. In the entire land, it is hard to find tillable land that is not already tilled; only sandy fields or stony hills, suitable at best for planting trees or vines and, even that after considerable work and expense in clearing and preparing them- only these remain unworked. ... Many of our people who came to buy land have been in Eretz Israel for months, and have toured its length and width, without finding what they seek. In 1898, German Kaiser Wilhelm II also visited Palestine. He was appalled at the condition of the country. The Ottomans had stripped the forests for lumber and firewood. The Palestinian Arabs had let an old Roman aqueduct fall into ruin. The ultimate ecological curse was the ubiquitous herds of black goats. For nearly 2,000 years after the dispersion of the Jews, Arabs had allowed their goats to graze unfenced across Palestine. They had eaten the grass down to its roots, and the topsoil had eroded and blown away. The biblical land of milk and honey had become a dust bowl. In 1896, the population of Jerusalem reaches 45,300: 28,000 Jews; 8,700 Christian Arabs/Europeans; and 8,600 Moslem Arabs. In 1920, the League of Nations "Interim Report on the Civil Administration of Palestine states that there were 700,000 people living in Palestine. "Of these 235,000 live in the larger towns, 465,000 in the smaller towns and villages. Four-fifths of the whole population are Moslems. A small proportion of these are Bedouin Arabs; the remainder, although they speak Arabic and are termed Arabs, are largely of mixed race. Some 77,000 of the population are Christians, in large majority belonging to the Orthodox Church, and speaking Arabic. The minority are members of the Latin or of the Uniate Greek Catholic Church, or--a small number--are Protestants. The Jewish element of the population numbers 76,000. Almost all have entered Palestine during the last 40 years. Prior to 1850 there were in the country only a handful of Jews. In the following 30 years a few hundreds came to Palestine. Most of them were animated by religious motives; they came to pray and to die in the Holy Land, and to be buried in its soil. After the persecutions in Russia forty years ago, the movement of the Jews to Palestine assumed larger proportions." According to various genetic studies, Jewish populations and Palestinian populations do overlap genetically. Palestinian Muslims additionally have genetic components that are found in the population of the Arabian Peninsula, but are rare in Jews. Ashkenazi Jews also carry components found in European populations, but are rare in Arabs. Geneticists generally agree there was mixing in Middle East populations in prehistoric times. Nebel et al. (2000) doing Y-chromosome haplotype analysis for patrilineal ancestry of Jews and Palestinian Muslims "revealed a common gene pool for a large portion of Y chromosomes, suggesting a relatively recent common ancestry". The two modal haplotypes that comprise the Palestinian Arab clade were very infrequent among Jews, "reflecting divergence and/or admixture from other populations". Nebel et al. regard their findings in good agreement with historical evidence that suggest that "Part, or perhaps the majority, of the Muslim Arabs in this country descended from local inhabitants, mainly Christians and Jews, who had converted after the Islamic conquest in the seventh century AD... These local inhabitants, in turn, were descendants of the core population that had lived in the area for several centuries, some even since prehistoric times. ...the Y chromosomes in Palestinian Arabs and Bedouin represent, to a large extent, early lineages derived from the Neolithic inhabitants of the area and additional lineages from more-recent population movements. The early lineages are part of the common chromosome pool shared with Jews. According to our working model, the more-recent migrations were mostly from the Arabian Peninsula, as is seen in the Arab-specific Eu 10 chromosomes that include the modal haplotypes observed in Palestinians and Bedouin... The study demonstrates that the Y chromosome pool of Jews is an integral part of the genetic landscape of the region and, in particular, that Jews exhibit a high degree of genetic affinity to populations living in the north of the Fertile Crescent. "The Arabic-speaking peasants of Palestine are the progeny of the tribes which settled in the country before the Israelite invasion. They are still adhering to the land. They never left it and were never uprooted from it." "Archaeologic and genetic data support [the hypothesis] that both Jews and Palestinians came from the ancient Canaanites, who extensively mixed with Egyptians, Mesopotamian and Anatolian peoples in ancient times." However, the study also says that Palestinians are closely related to Egyptians, Lebanese, Iranians, Cretans, Macedonians and Sardinians, Turks, Armenians and also to Algerians, Spaniards, French, Italians and Basques. It therefore doesn't answer the question of immigration. Arnaiz-Villena was later sacked from the journal's editorial board and the article retracted. The journal claimed the article was politically biased and was written using inappropriate remarks about the Israeli-Palestinian conflict. Whether there was significant Arab immigration into Palestine after the beginning of Jewish settlement there in the late 19th century has been a matter of some controversy. Demographer Uziel Schmelz, in his analysis of Ottoman registration data for 1905 populations of Jerusalem and Hebron kazas, found that most Ottoman citizens living in these areas, comprising about one quarter of the population of Palestine, were living at the place where they were born. Specifically, of Muslims, 93.1% were born in their current locality of residence, 5.2% were born elsewhere in Palestine, and 1.6% were born outside Palestine. Of Christians, 93.4% were born in their current locality, 3.0% were born elsewhere in Palestine, and 3.6% were born outside Palestine. Of Jews (excluding the large fraction who were not Ottoman citizens), 59.0% were born in their current locality, 1.9% were born elsewhere in Palestine, and 39.0% were born outside Palestine. Professor Joseph Kickasola of international affairs talks about the Palestine region being sparsely populated before the immigration. One of the reasons could have been the apparent lack of oil in the region. He also mentions the abundant existence of swamps and malaria. Historians note that the Zionist settlers drained the swamps and eradicated the deadly malaria. There is every reason to believe that consequential immigration of Arabs into and within Palestine occurred during the Ottoman and British mandatory periods. Among the most compelling arguments in support of such immigration is the universally acknowledged and practiced linkage between regional economic disparities and migratory impulses. The precise magnitude of Arab immigration into and within Palestine is, as Bachi noted, unknown. Lack of completeness in Ottoman registration lists and British Mandatory censuses, and the immeasurable illegal, unreported, and undetected immigration during both periods make any estimate a bold venture into creative analysis. In most cases, those venturing into the realm of Palestinian demography—or other demographic analyses based on very crude data—acknowledge its limitations and the tentativeness of the conclusions that may be drawn. As all the research by historians and geographers of modern Palestine shows, the Arab population began to grow again in the middle of the nineteenth century. That growth resulted from a new factor: the demographic revolution. Until the 1850s there was no "natural" increase of the population, but this began to change when modern medical treatment was introduced and modern hospitals were established, both by the Ottoman authorities and by the foreign Christian missionaries. The number of births remained steady but infant mortality decreased. This was the main reason for Arab population growth. ... No one would doubt that some migrant workers came to Palestine from Syria and Trans-Jordan and remained there. But one has to add to this that there were migrations in the opposite direction as well. For example, a tradition developed in Hebron to go to study and work in Cairo, with the result that a permanent community of Hebronites had been living in Cairo since the fifteenth century. Trans-Jordan exported unskilled casual labor to Palestine; but before 1948 its civil service attracted a good many educated Palestinian Arabs who did not find work in Palestine itself. Demographically speaking, however, neither movement of population was significant in comparison to the decisive factor of natural increase. Daniel Pipes responds to Porath by saying that the argument that "substantial immigration of Arabs to Palestine took place during the first half of the twentieth century is supported by an array of demographic statistics and contemporary accounts, the bulk of which have not been questioned by anyone, including Professor Porath." According to Israel's Central Bureau of Statistics, as of May 2006, of Israel's 7 million people, 77% were Jews, 18.5% Arabs, and 4.3% "others". Among Jews, 68% were Sabras (Israeli-born), mostly second- or third-generation Israelis, and the rest are olim — 22% from Europe and the Americas, and 10% from Asia and Africa, including the Arab countries. According to Palestinian evaluations, The West Bank is inhabited by approximately 2.4 million Palestinians. According to a study presented at The Sixth Herzliya Conference on The Balance of Israel's National Security there are 1.4 million Palestinians. According to Palestinian estimates, there are another 1.4 million Palestinians in the Gaza Strip. According to these Israeli and Palestinian estimates, the population in the region of Palestine stands at 9.8 - 10.8 millions. According to Jordanian statistics, there are almost 6 million inhabitants in Jordan, the majority of them being Palestinians but exact Palestinian percentage in the society is disputed and not encouraged to be researched by the government. Estimates are between 45 - 90 %. Palestine:History:Syria Palaestina and the Tetrarchy. The On-line Encyclopedia of the Roman Provinces. University of South Dakota. Population, by religion and population group. Jews and others, by origin, continent of birth and period of immigration. Gottheil, Fred M. (2003) The Smoking Gun: Arab Immigration into Palestine,1922-1931, Middle East Quarterly, X(1).